Stock cubes (aka bouillon cubes) are those cubes we add to our cooking to enhance the taste of the food. Popular brands include Maggi, Knorr, Royco etc. Homemade stock cubes are perfect for those intolerant to MSG, for kids recipes and for those concerned about what goes into their food. Preparing kids recipes especially for kids less than 1 year old. Preparing meals for those who are intolerant to MSG. MSG stands for MonoSodium Glutamate (Ajinomoto) which is the taste enhancing ingredient that is used in most store-bought stock cubes. MSG is sid to be safe for most of us but if you are intolerant to MSG, you will know or your doctor will tell you. A person that is intolerant to MGS gets reactions when he/she eats food prepared with stock cubes that contain MSG. For more information on MSG intolerance, Google it and you will find lots! Those who are concerned about the ingredients used in making stock cubes. You know, some of us really want to know what we put in our mouth and there are lots of chemical ingredients added to stock cubes. If you are one of those people, you need to start making your own stock cubes. Storage: I keep mine in the freezer for up to 1 month. Usage: Add the cubes to your taste. It is all natural so there is no risk of adding too much. For basic homemade stock cubes prepared without vegetables, only beef/chicken, visit the Basic Homemade Stockcubes page. Here, you will need to use your favourite vegetables and herbs. Cut them up, put them in a pot, add vegetable oil and salt and cook till they are very soft. 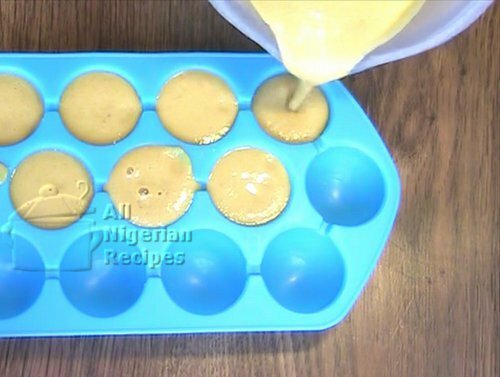 Blend and pass through a sieve then pour in ice cube trays and freeze. Leeks are root vegetables that belong to the same family as onions. They look like giant spring onions. 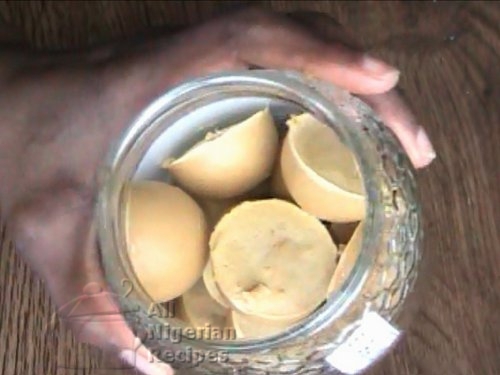 They are not common in Nigeria so use spring onions as alternative. Where I live, I buy chicken bones from the chicken sellers. They usually take out the chicken breast and the remaining bone still has enough meat for you to make your stock cubes with. You can add salt when making your stock cubes but I usually prepare mine without salt. I don’t use the very green parts of leek because it makes the stock cubes taste so “green” that my food tastes almost bitter. I use cow ribs for my beef flavoured stock cubes because this part of beef is very tasty, contains bones and some natural oils, perfect for making stock cubes. So you get all the benefits by using this part of beef. The directions described here is for making chicken flavoured stock cubes in your home but the same procedure applies to beef flavoured and fish flavoured homemade stock cubes. Cut up the chicken and vegetables into small pieces. Put everything in a pot, add water to half the level of the contents of the pot and cook on medium to high heat for 45 minutes or till everything is soft and tender. Remove the bones from the chicken. Blend the chicken and vegetables. 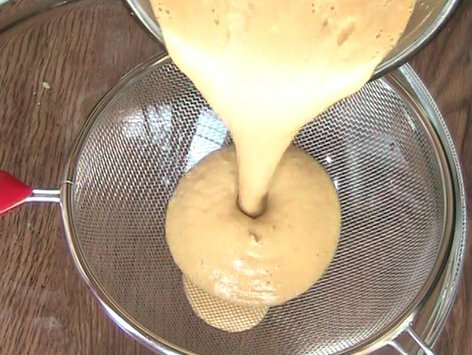 Strain with a sieve to remove all traces of bones and other particles that did not blend well. Pour into ice cube trays and place in the freezer overnight. Once frozen, bring out from the ice cube trays and put in a container with a cap. Cover and put back in the freezer. That's it! Add to your cooking as you would use store-bought stock cubes.